Rye railway station has just become even more interesting as a result of the partnership between Rye Museum, Southern, and the Sussex Rail Community Partnership (SCRP). 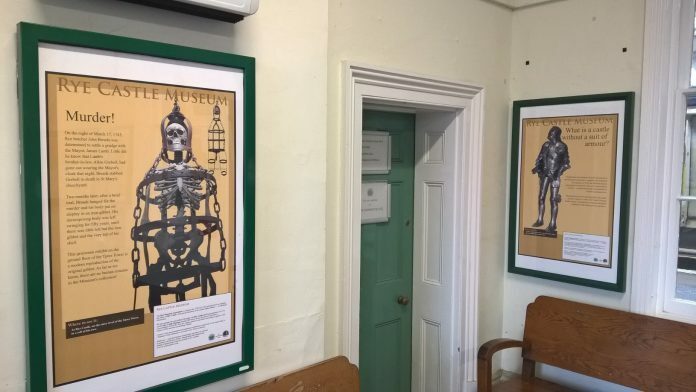 The booking hall at the pretty East Sussex station now includes posters detailing some of the exhibits on display at the nearby museum. Yes really lovely…it’s just a shame the booking office is closed so often. And can anyone tell me where the bus replacement service times are visible on Sundays for visitors who have not checked a relevant app? The office was closed & I looked everywhere last week & could see nothing.